Blocks is now available for all stores on CubedPay. 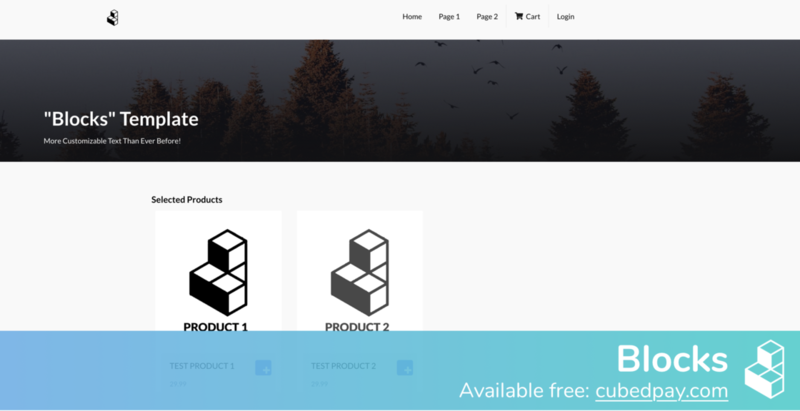 Blocks features a beautiful header with a customizable banner, top-right aligned navigation, and ample space for your products on each page. Activate it today from the dashboard. Click on Select under Blocks to activate it. For details on using custom imagery, please see our previous release.